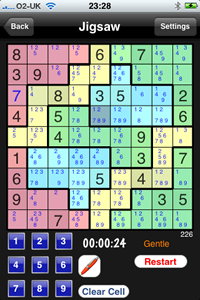 Visit our site to see the great iPhone application that brings you Sudoku, Killer, Jigsaw, Kakuro and Mini Sudoku to your iPhone/iPod Touch. We are running Daily Competitions and will be supporting a leader board for each puzzle type. 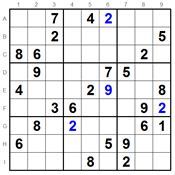 Welcome to the Daily Mini Sudoku and Daily Mini Killer - bite-sized puzzles if you are too rushed to try a normal sudoku or killer sudoku. Some of these are tougher than you might think. For the mini sudokus we are publishing three grades during the week - moderate, tough and diabolical. The range of Mini Killers extends from 'Kids' level - a nice introduction to the puzzle - all the way to diabolical. 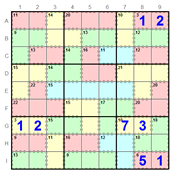 Wednesday, Saturday and Sundays's puzzle is Diabolical - Today! 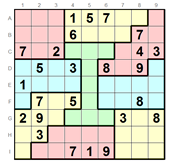 Saturday and Sundays's puzzle is Diabolical - Today! 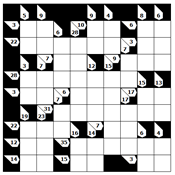 In addition to our solvers we also offer utilities to help you solve various puzzles. 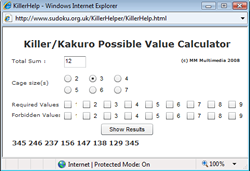 One example is out Killer/Kakuro possible value calculator.